“Horse lords of the men of Rohan, Allies of Gondor the land below, Green fields they guard with honour, Eastern terror, keep away!”... and “Guidance shown by the stars, The way whispered by the winds, To the land of legends, Land of Bow and Helm!” are just two examples of the lyrics of one the best Tolkien-metal bands of all: BATTLELORE! 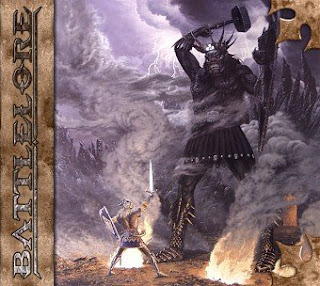 And best of all, as it's characteristic through all their albums, the lyrics are strongly Tolkien oriented (you can find the complete lyrics of all Battlelore albums here: http://www.darklyrics.com/b/battlelore.html ). Their next album was called Sword's Song, released in 2003. 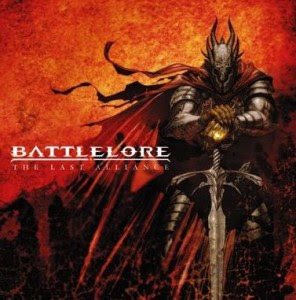 This for some is the best Battlelore album, at least it's the album that made the band pretty famous, they even toured Europe after this cd. The cover again it's amazing, Ted Nasmith's "The Slaying of Glaurung". This was the last album with former male singer Patrik Mennander. Here I give the link to a great performance of Sons of Riddermark at Tavastia Club in Helsinki in 2003, featuring in their 2004 DVD The Journey (I actually went to this club last year :D ). I really like their performance, with their impressive outfits and the weapons, plus Kaisa and Maria are stunningly beautiful! The Journey includes live performances of Fangorn, Sons of Riddermark, Buccaneers Inn, The War of Wrath, The Mark of the Bear and Raging Goblin. Also 3 music videos, Behind the Scenes, Interviews, a Photogallery and a Bonus Audio CD. In my opinion, a huge higlight is the interview with Jyri, the founder and main composer of Battlelore. He speaks about how Battlelore was founded, and how he is a huge Tolkien fan, how his encounter with Master Tolkien's books was like “love at the first sight”, and how his works influence Battlelore! This really reaches the heart! Also, among other things, he speaks about why Battlelore's dresses up at concerts. Jyri: you are my idol! Cover illustration: "Tol Brandir" by Ted Nasmith. The limited edition digipack includes the show at Female Voices Festival , in Belgium, during 2007. 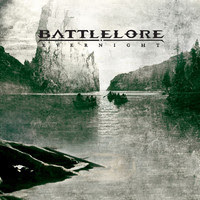 Finally, in 2011, Battlelore release their only concept album up to now. It is based entirely on the adventures of Túrin Turambar, son of Húrin, foe of Glaurung, whose story is the saddest of all Arda, i think. 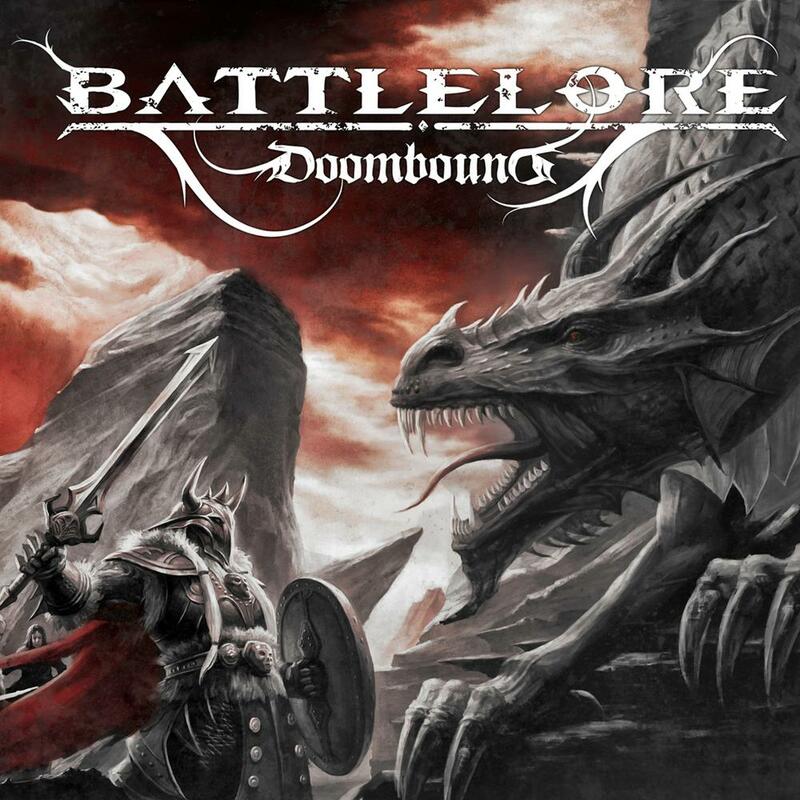 The album is called Doombound, every fan who has read The Silmarillion will immediately get the connection between the story and the album. The album includes their only song completely in finnish, Kärmessurma. There exists a limited digipack DVD edition (which i possess), which includes two concerts, 4 music videos, Tour Videos and a photogallery. It is simply AWESOME! 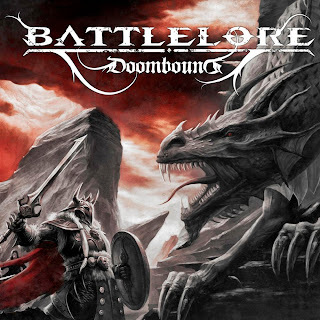 Very unfortunately, in October 23rd of 2011, Battlelore announced an indefinite break, “to focus on other aspects of life and build up more creative energy for the future”. Let us indeed hope that it will be just a break, and not a termination! 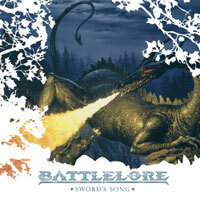 Battlelore is the finest and most loyal Tolkien metal band I know, and it would be a pity that they stop existing. Plus I have never seen them live, and honestly I cannot die until I do so. I hope you get a feeling of the greatness of this finnish band, completely inspired by J.R.R. Tolkien's works. 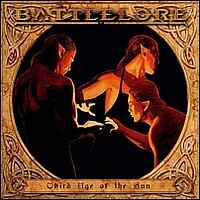 For more information, such as history, pictures, merch, band, samples, etc, please visit their official site: http://www.battlelore.net/ . The information regarding the band I got from this same website (History, Discography and Band section). And if you like their music, go ahead and buy their albums, they totally deserve it. Il Fantastico Mondo di J. R. R. Tolkien (facebook page).